Transform the humble into something breathtaking and break the monotony with Elkay's bold and beautiful R5-5002-R9-7007-BN Kit from their latest creation, the Rene collection. 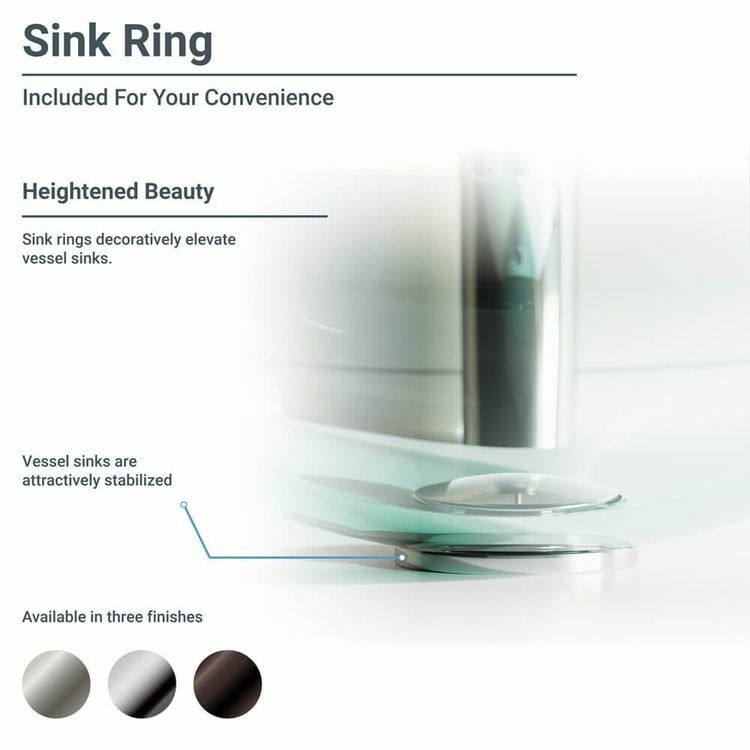 The splendid brilliance of the R5-5002 translucent, frosted glass vessel sink adds a stunning luster in your bathroom, giving you something to feast your eyes upon. 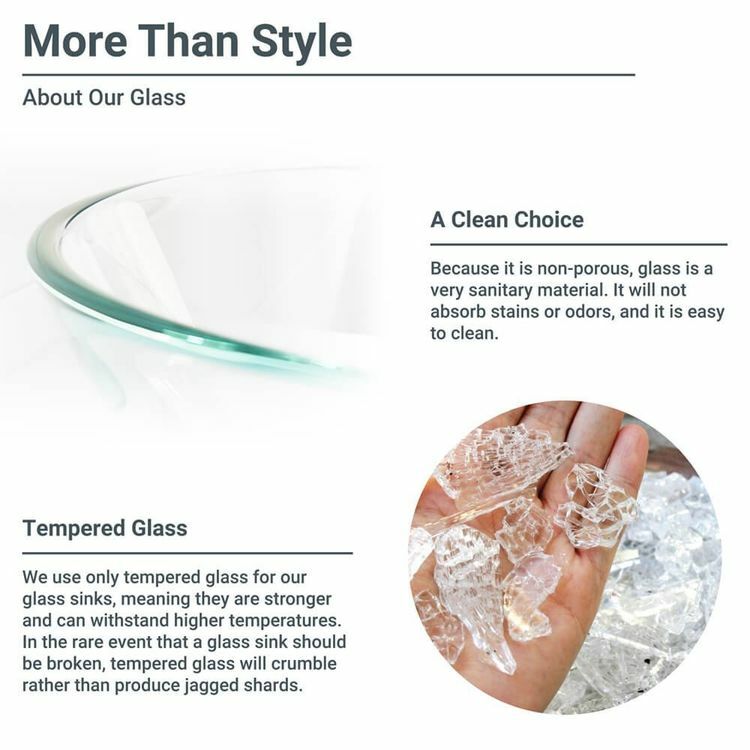 While it looks delicately elegant, it is made of extra-thick tempered glass that stays un-blemished even after exposure to higher than normal temperatures. With its non-porous surface, you can be assured of good hygiene while staining and odor-retention are kept at bay. 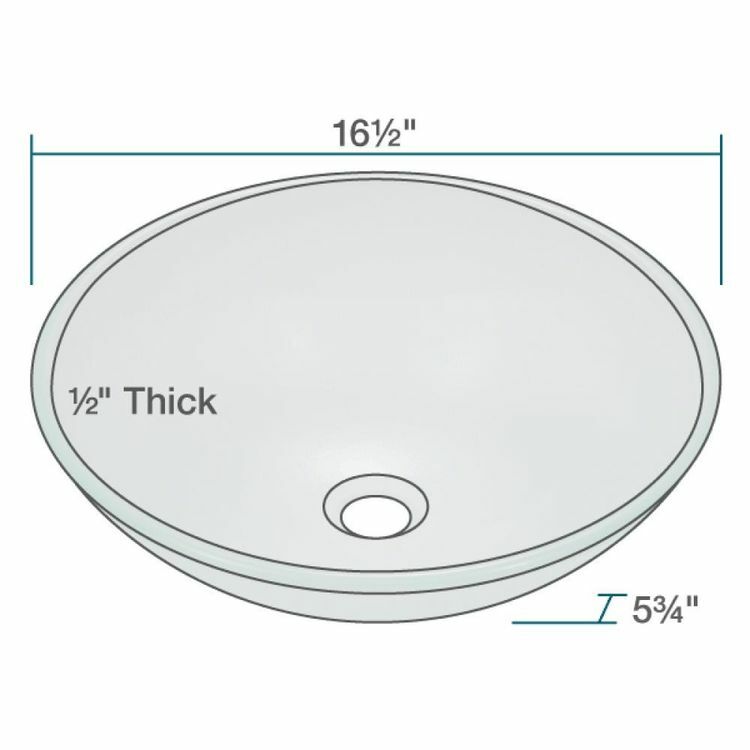 The sink of this R5-5002-R9-7007-BN Kit measures 16-1/2" x 16-1/2" x 5-3/4". 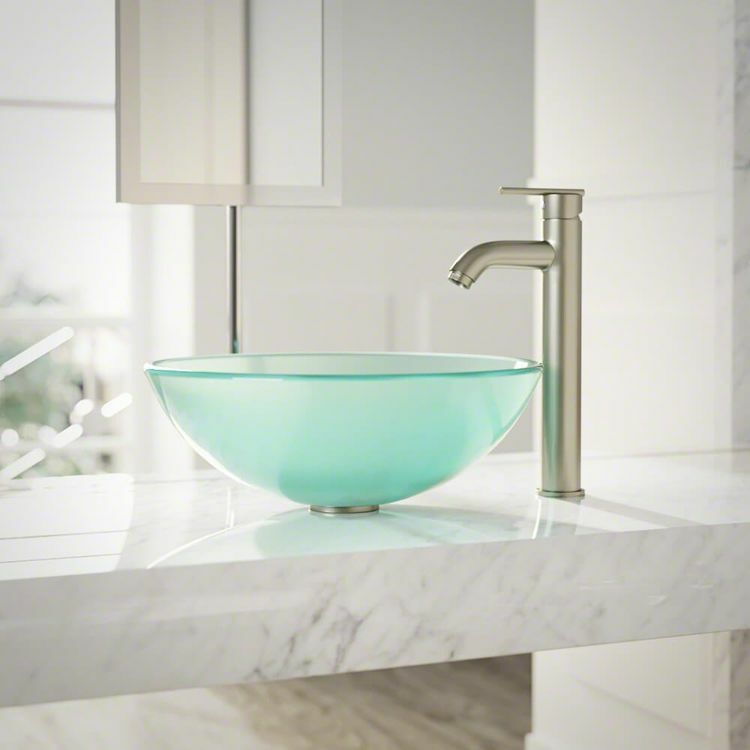 Because Elkay believes that eminence and glam should go together, the sink was paired with the R9-7007-BN vessel-style faucet. This kit is anything but ordinary. 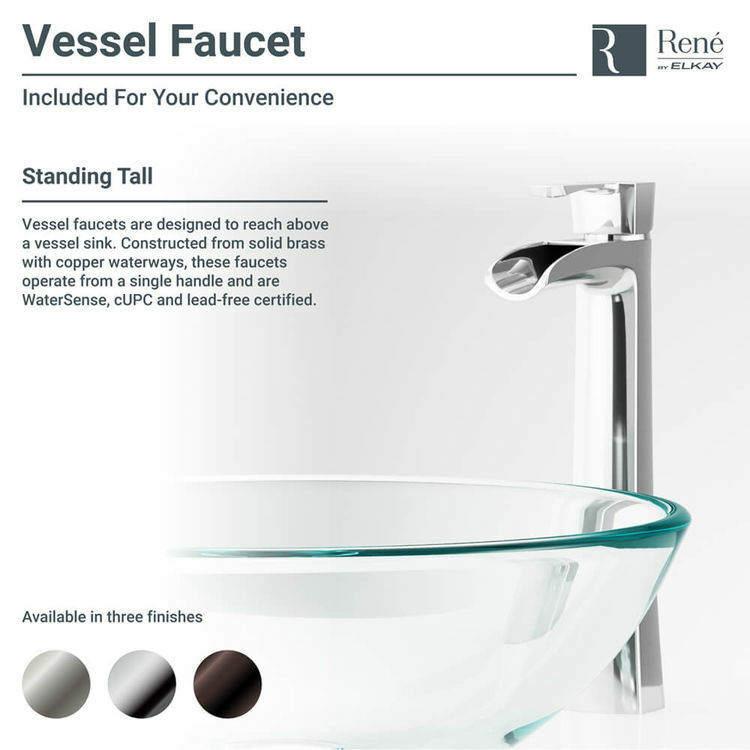 The faucet stands elegantly tall, has a premium-quality solid brass make, and comes in a brushed nickel finish. 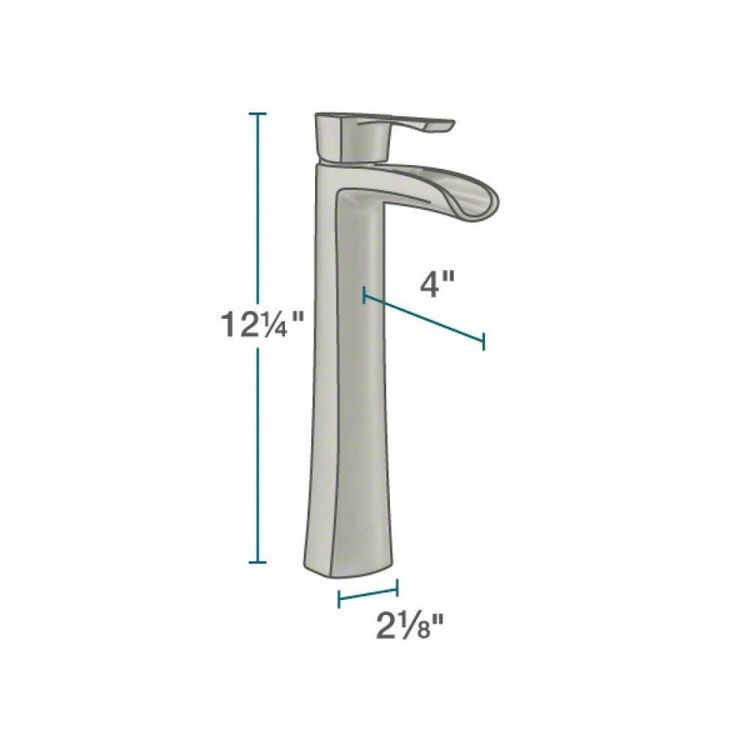 Its sleek design employs fearless use of a modern water pump spout style, and an extended swivel handle, offering some stark personality to an otherwise stoic fixture. 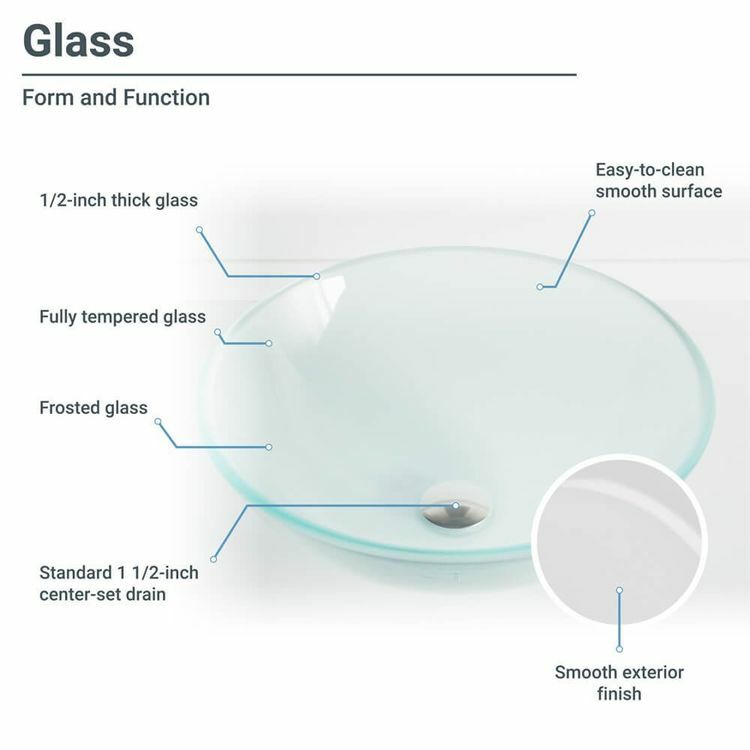 It utilizes heat-resistant ceramic disc cartridges that assure a long product life. 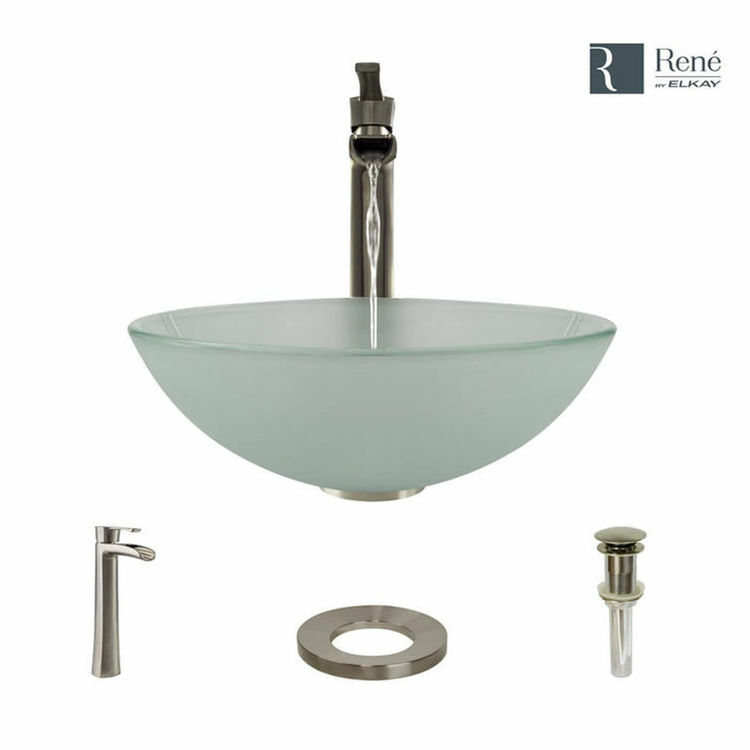 This R5-5002-R9-7007-BN Set comes with a brushed nickel sink ring to secure the basin exquisitely on top of your vanity. 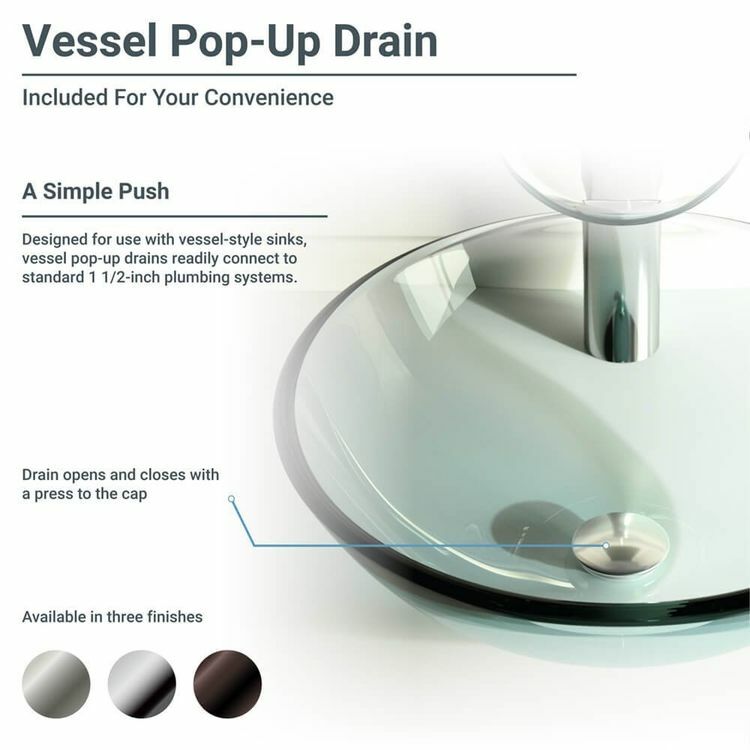 A touch of radiance on the included vessel pop-up drain does not hurt either. The set is covered by Elkay's limited lifetime warranty. Only Elkay's outstanding experience in the industry for more than 95 years can turn a humble, otherwise everyday fixture into such a showstopper that is as confounding as it is beautiful. Size: 16-1/2" x 16-1/2" x 5-3/4"